History's Walk | "A People who denies its history, does not deserve its future…." We can arrange a full day of touring for prospective clients interested in touring the local battlefields. 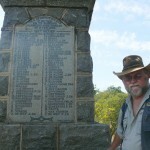 I am a registered Kwazulu-Natal provincial guide and military historian, who does battlefield tours to all major sites of the three wars that were fought in this province. I was born in the Republic of Namibia, but I am a South African citizen as well today. I have a B.A. degree in Military History, an Honorary B.A. in International Politics, and two Masters Degrees, among others, and specializes in the Anglo-Zulu War of 1879, the First War of Independence of 1881 (sometimes also called the First Boer War, or the Transvaal Rebellion) and the Anglo-Boer War of 1899-1902. 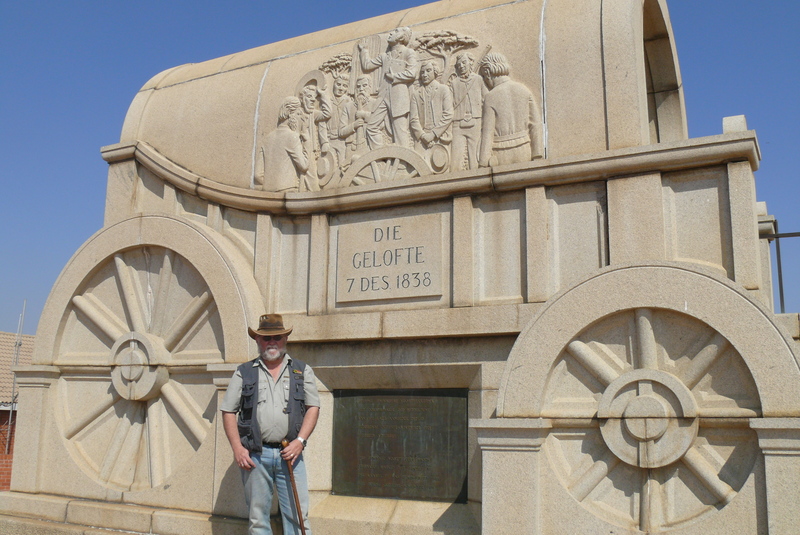 My flagship tour is a two-day tour to the Big Three, (The Battle of Blood River, Battle of Talana, Battle of Isandlwana and the Battle of Rorke’s Drift.) I am an independent guide who freelances for all accommodation establishments in the district. 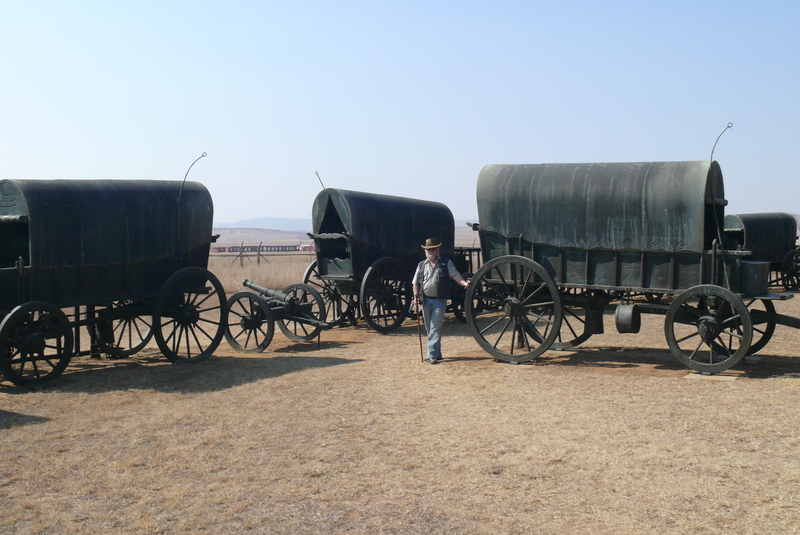 I also do tours to the site of the Battle of Spioenkop and its integrated sites (Mount Alice and Spearman’s Camp), the Siege Museum of Ladysmith, the Battle of Wagon Hill and Caesar’s Camp (also known as Platrand), Colenso, Blaauwkrantz, the Churchill Capture site and the site of the Battle of Majuba. I am a former member of the Namibian Police, the Second South African Infantry Battalion Group, a free lance journalist and writer and have traveled extensively in Europe and South Africa. I obtained a Flemish-language postgraduate diploma in European and International Law at the Free University of Belgium, in Brussels, where I stayed and worked for a little over a year. I am an eighth-generation South African from my father’s side, and my family has been in this country since 1732. The government research station Nooitgedacht, outside Stellenbosch, was our family farm, where my ancestor Jan Jurgens farmed wine since 1732. I have four maternal ancestors who fought in the Battle of Blood River (December 16, 1838), two ancestors who were killed in action in the Battle of Magersfontein (December 12, 1899), one ancestor who was killed in action in the Battle of Wagon Point (January 6, 1900), one who died in the Battle of Spioenkop (January 24, 1900), and one who was involved in the capture of Winston Churchill. I am deeply passionate about the history of my country, and believes that a people who denies their history, does not deserve their future. The majority of my clients are visitors from the United Kingdom, who share a rich history with us, followed by Dutch and Belgian visitors, Americans, Frenchmen, Germans, South Africans, Australians, and even a few from Norway. 1. There are two options to tour available. The first one is the hop-on tour, where I join the clients in their transport. This is available for all my tours, providing your vehicle is suitable to be used. My transport levy will be added when my vehicle is required, even if a client vehicle(s) accompany us. I can transport a maximum of five people comfortably. My hop on day fee (private tours, coaches and travel groups) is ZAR 1800.00 per day. 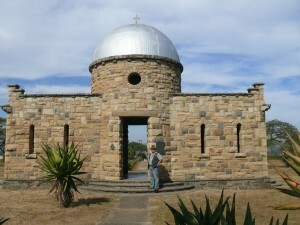 Please send me an email at johann@historyswalk.co.za to request a detailed tour plan and invoice. Please be advised that we currently have a very volatile fuel price, and tour prices could change with short notice. 2. Entry fees at Blood River are ZAR 40.00 per adult, and ZAR 20.00 per head, for children. Entry fees at Isandlwana, Rorke’s Drift and Spioenkop are ZAR 35.00 per adult. 3. Hop-on tours can only be conducted from accommodation establishments in or near Dundee. When I use my vehicle, the full fee comes into play. This tour fee is ZAR 2200.00, using my vehicle. I can comfortably seat five people in my car, a Toyota Condor, and we can use the clients’ vehicle as well, if possible/required. 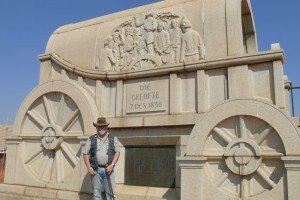 We will visit Blood River and Talana on Day One, then on to Isandlwana and then Rorke’s Drift Day Two. Hop-on tour available. This tour fee is ZAR 2000.00. The same conditions as above apply. 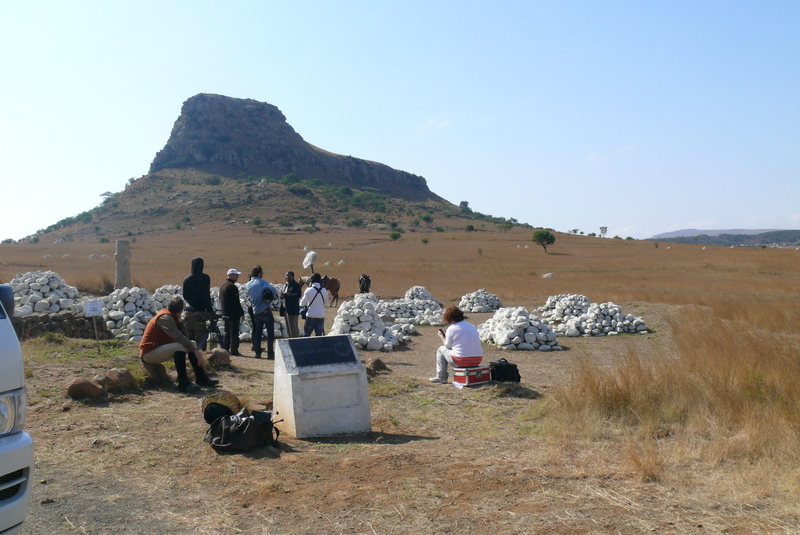 We will visit Isandlwana first, and then come back to Rorke’s Drift. There are two community-driven shops at each site, where clients can have a look at locally – made crafts and some books.The Anglo-Zulu War tour of Isandlwana and Rorke’s Drift will also take the best part of the day. 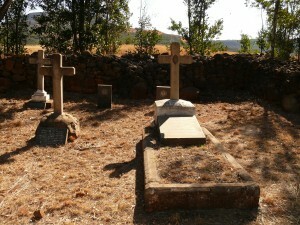 There is a small cafe at Rorke’s Drift that can provide light lunches, as well as Rorke’s Drift Hotel. Two shops sell locally made crafts, for those inclined to buy souvenirs. This tour fee is ZAR 2500.00. A light lunch can be obtained at Ladysmith, or lunch packs ordered from the hotel/accommodation establishment, which will be for the clients’ account on the day. Please bear in mind that the Spioenkop tour is an extensive one, and will take almost the entire day, with substantial travelling to be done. There is little left of the Colenso site, except Col. Long’s old gun position, the Clouston Garden of Remembrance and the Ambleside grave site, but you can still make out Buller’s battle against Botha well enough. The loop is very overgrown, as well as Fort Wylie, and you will not be able to reach the Tugela from that site anymore. The Ladysmith Siege Museum is excellent and well worth the visit. If you have specific Ladysmith sites in mind, let me know. I like to prepare a bit beforehand. Hop-on tour possible. This tour fee is ZAR 2500.00. 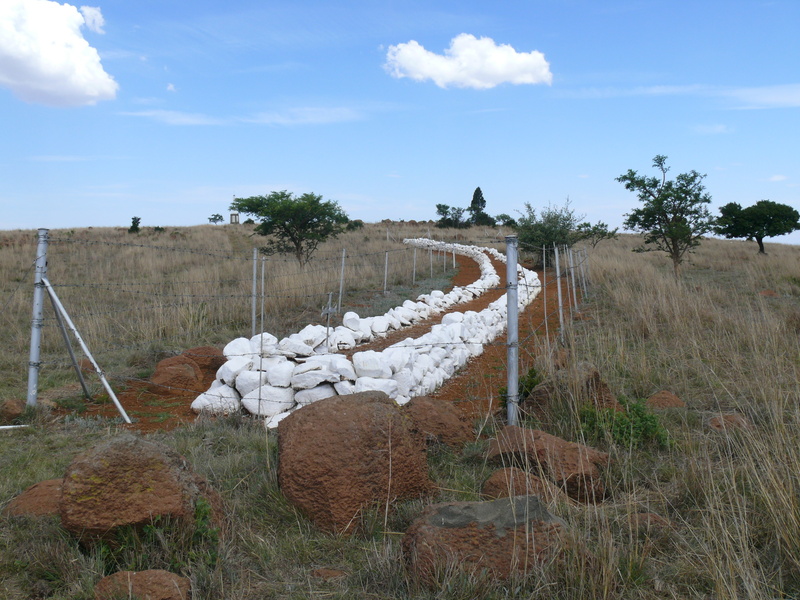 The site of the battle of Majuba, outside Newcastle, on the Volksrust Road, is a stiff climb, but a visit well worth the effort. This may be difficult for younger visitors, and is definitely not recommended for very young children. This is the site where General’s Colley’s column finally came to grief on February 27, 1881. 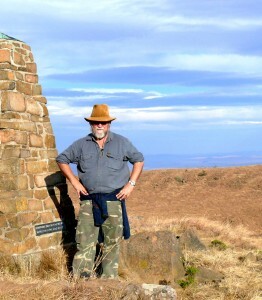 The battlefield is on top of Majuba Mountain, and will take a fit man about 40 minutes to reach. Mount Prospect, the site of Colley’s camp, is on private land now, and permission must be obtained first. 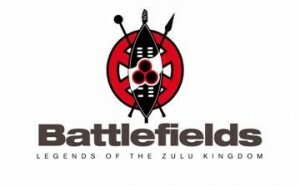 Entrance fees of ZAR 35.00 per adult per site, (ZAR 40.00 at Blood River) and a heritage fee of ZAR 10.00 at Blood River, for which guests will be liable. Personal expenses on the day are for guests’ own account. Closed shoes are recommended, but not compulsory. Insects might be a problem. Clients will need sun protection during summer, and it can get chilly during winter. Please be advised that these tours are not really suitable for very young children or babies, as it is a long day. NB: All medical/chronic conditions, especially allergies, asthma and heart problems, must be declared to me before departure. Kindly be aware that a 33% cancellation fee will be charged for any battlefield tours that are cancelled seven days or less, before the departure date. A 50% booking fee will be charged should guests cancel with less than two days notice. The full tour/booking fee will be forfeited for non-arrivals and cancellations the day before, or on the date of departure….!!! All tours that are cancelled, must be done in writing, a week before departure. Please send me an email with regard to this.